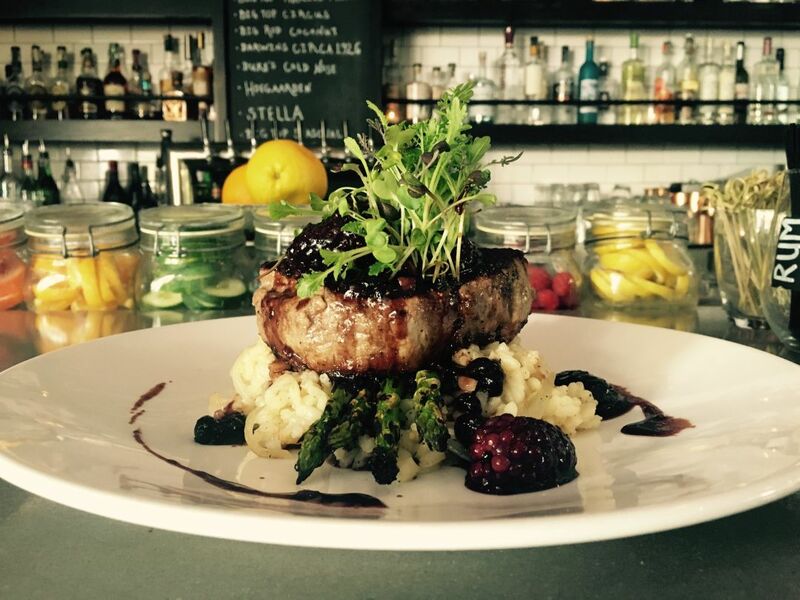 Filet mignon with balsamic mixed-berry sauce at Social. File this one under "delicious": Social's filet mignon with a balsamic mixed-berry sauce ($31) is one of our new favorite dishes. Served atop a bed of creamy Parmesan risotto and asparagus, we'll be ordering this one again and again. Phillippi Creek Oyster Bar's mahi mahi noodle bowl. 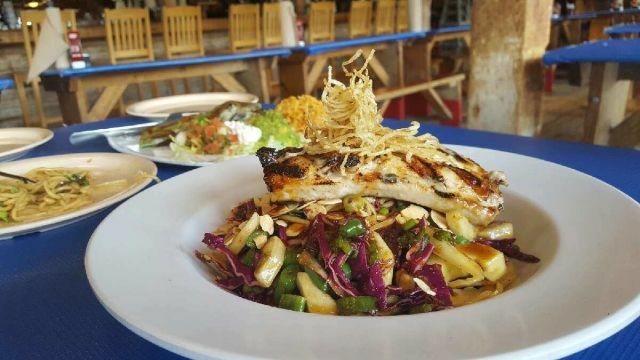 For a tasty lunch with a view (you might even catch sight of a manatee, like we did), head over to Phillippi Creek Oyster Bar and order the mahi mahi noodle bowl--a generous portion of mahi mahi sits atop a cold noodle bowl comprised of lo mein noodles, Napa cabbage, cucumber and toasted almonds. It's all tossed in a flavorful hoisin vinaigrette. $9.95 through Sept. 30. Pho Cali's owners are back from vacation (thank goodness! ), and a walk on the wild side led us to order a No. 79 salad (our favorite) with--wait for it--grilled pork and grilled beef. The pork was perfect, as usual, but the beef was tender and featured an amazingly flavorful marinade. Add in the pickled carrots, chopped peanuts and mint that come with the dish and you have a perfect bowl of goodness. Next time you're at Louies Modern, take our advice and order the rice cracker-crusted ahi tuna ($25) with jasmine rice, kelp noodle wakame and "uni-corn" orange sauce. The tuna was perfectly pink and the flavors were spot on--plus, you'll feel virtuous because it's so healthy.